Brazil hope to counter the loss of two key players to injury and continue to climb the World Rugby Rankings during the duration of the Americas Rugby Championship. Up until February 2016, Brazil had only ever competed in South America and never travelled outside the confines of their region. The birth of the Americas Rugby Championship changed their landscape, forever. “Before the Americas Rugby Championship, we didn’t have much,” admitted Rodolfo Ambrosio, Os Tupis’ head coach for the past three seasons. When Brazil played their first Americas Rugby Championship game against Chile almost two years ago to this day, they were 42nd in the World Rugby Rankings, having jumped from 45th a few weeks earlier. They travel again to Santiago on Thursday ranked 28th with the knowledge that an away win against Chile, ranked 24th, will see them climb further. During that period of time, they have enjoyed wins against the USA, Canada, Chile and, latterly, against Belgium, on their European tour in November. “It is a long-term task. When we had nothing, it was easy to get results. Now the fear is that we don’t want to stagnate. 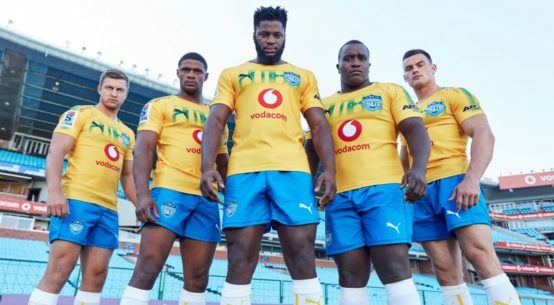 The next step is very hard,” said the experienced coach who played in the inaugural Rugby World Cup for Italy and has also coached his native Argentina. And interest in rugby is growing all the time, thanks in part to the Rio 2016 Olympic Games and the recent good results in 15s. “It is still a niche sport, family-oriented, with a good following for internationals but not a big club scene. Media are starting to pay attention, and we have television coverage of the internationals,” Ambrosio added. As challenging as the Americas Rugby Championship may be for a team with such a small squad, Brazil are still hoping to impress over the coming weeks. “Our goal is to play good rugby. By doing that, the scorelines will look after themselves. We are not changing our game plan, we must keep playing our system, but with more skill and better decision making,” insisted Ambrosio. Although the squad is pretty much the same as last year, Brazil will be without the services of two of their star players – full-back Daniel Sancery and scrum-half Lucas Duque – following shoulder and arm surgery respectively. Sancery, along with twin brother Felipe, has been a key weapon in Brazil’s attack since his debut in the first game of the 2016 Championship, scoring eight tries and playing a part in countless others during a previously unbroken run of 25 starts in the team. Despite not playing, the vastly experienced Duque is still involved with the squad as team doctor for four of the five rounds. As with Sancery, his absence from the pitch is a huge blow to Brazil, however Os Tupis do have players returning in the front row to bolster their chances of success in Santiago on Saturday. “Three props have recovered in time and that’s important for us as we need to secure first phase possession in order to play the way we want to play,” said Ambrosio. Meanwhile, Ambrosio insists that Chile will provide his team with the perfect benchmark. “Chile will give us a measure of where we stand. We can’t underestimate them. “Again, we want to play good rugby. In the last two seasons, we were beaten by Chile and then won against the USA (in their first game). I don’t want to analyse what will happen if we win or lose. The Americas Rugby Championship 2018 will be streamed LIVE on the World Rugby website at www.worldrugby.org/arc2018. Some geo-blocking restrictions will apply with more details available here.